Let’s face it: people sweat so it imperative that Gym Cleaning is of highest priority when running a fitness centre. And people sweat a lot when they’re at the gym. It’s inevitable; they’re going to get their sweat all over your equipment and sometimes, they aren’t going to clean it off because they’re too tired, too busy, or think someone else will do it. 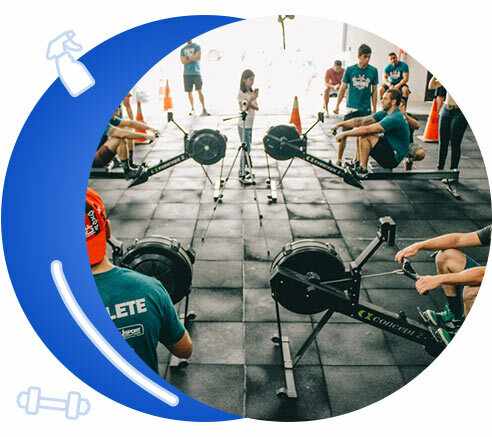 Over time, this can affect the hygienic quality of your gym, and in some cases it can make people sick if the area isn’t cleaned thoroughly. At the very least, all of that sweat eventually begins to smell, and then you know you really need professional cleaners. Our small, customer-service focused team at Clean Focus Services can make your gym look pristine all over again. A good scrub of all equipment, mats and bathrooms can make a world of difference in the smell, appearance, and overall feel of your gym. We can clean daily, weekly, or every fortnight. 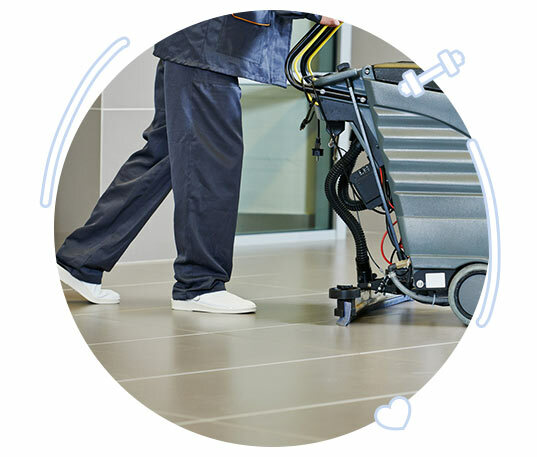 We also specialise in cleaning your health care centre. Health care centre, just like hospitals should be spotless clean. People who have different viruses and bacteria come in every day in as much as babies come in and can be infected. Health centre should be cleaned and disinfected every day. This is where Clean Focus can make your health centre clean not just to the naked eye but even through UV light. Our cleaning personnel are trained to clean any area that needs cleaning. We use only eco-friendly products and state of the art cleaning materials. On top of these, you get the services of highly dedicated professionals. 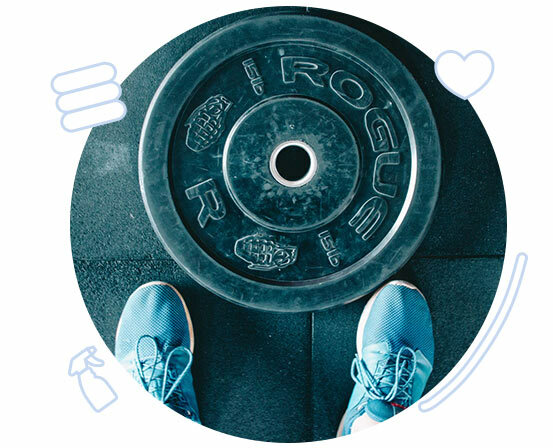 Contact Clean Focus today and wick that sweat away from your gym and make it smell like new again. Disinfect your health centers today. Submit an enquiry today and let’s help your gym gain more clients or your health center germ free today. Every equipment needs to be cleaned and sanitized AND brought back to where it is supposed to be placed. This is especially true to yoga mats, dumb bells, bars and other movable gym equipments. An unorganized gym can interrupt in the exercise or workout of a gym member which can make him or her frustrated. Our cleaning team will make sure that all equipments are placed in their proper storages right after we clean and disinfect them. Always keep it a point to organize your gym equipment to keep your members happy during a workout. Clean Focus Services can definitely help out here. Clean Focus provides the most affordable gym cleaning services in the area. Our fixed pricing rate can be compared with other cleaning services and you will not be disappointed with our prices. As a budget friendly cleaning service provider in Sydney, we make it a point that our quotations are affordable to both small and big businesses alike. We offer different packages that suit your gym cleaning needs. You can even compare our services to other providers and we are sure that you will come back to us to book. We are confident that our services are not just affordable but also reliable. This is where we build lasting relationships with our former clients. They come back to us because we have been constantly providing them the cleaning that they need at an affordable price. And we have 14 years of experience to back up this claim. A clean gym that doesn’t smell like sweat is not good for clients. A disinfected gym that smells nice is a sure factor to attract more people to come in. You would not want your gym to smell awful when a walk-in client tries your gym for the first time. 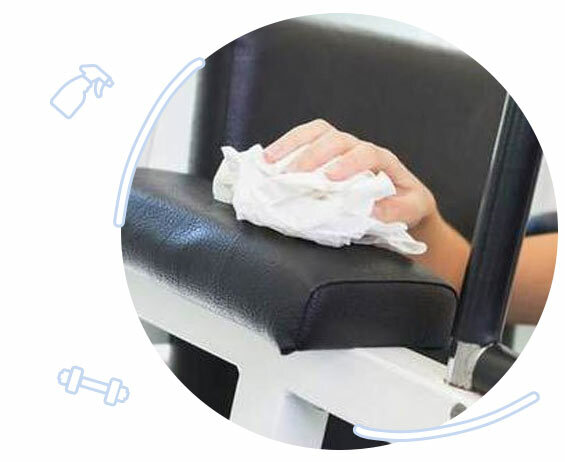 With a lot of sweaty people around, the best that you could do is make sanitize the different areas of the gym as much as you can. Gym equipments will always be prone to sweat and can retain than sweaty smell if not disinfected properly. And if you have not cleaned your gym for a long time, the smell will become a stink. A stinky gym is in no way anyone would want to frequent.